Yayasan Emas Artisanal Indonesia (YEAI) is the local affiliate of the Artisanal Gold Council (AGC) a not-for-profit organization based out of Victoria, British Columbia, Canada dedicated to the sustainable development of artisanal and small-scale gold mining (ASGM) communities in the developing world. 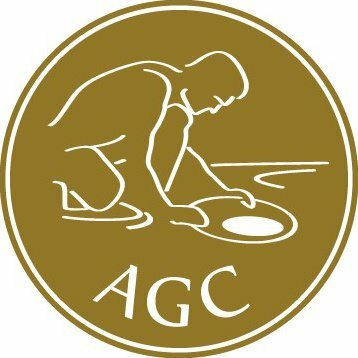 Sustainable Development of the Artisanal Small-scale Gold Mining (ASGM) in Indonesia is a 5-year project (2015-2019) that AGC is implementing for Global Affairs Canada in partnership with Indonesian NGOs. The project aims to improve incomes, health, and the environment of the vulnerable and marginalized men and women dependent on the artisanal and small-scale gold mining (ASGM) economy in proposed target areas in Central Kalimantan, North Sulawesi and other provinces in Indonesia. The project improves mining, environmental and social practices for men and women involved in the ASGM, including identifying alternatives to mercury use. The project also supports targeted provincial governments to better collaborate with the formal extractive sector and supports the formalization of ASGM activities through legal trade of responsible artisanal gold and value-added products in domestic and international markets. Activities include: (1) provide training on better practices for men and women miners; (2) provide training to targeted government and civil society groups on ASGM regulation and management; and (3) establish collaborative mechanisms with other relevant initiatives promoting responsible gold and diversification of the ASGM economy. This initiative supports the Government of Indonesia’s implementation of the Minamata Convention on mercury, which both Canada and Indonesia signed in 2013. The Monitoring and Evaluation (M&E) Officer is responsible for overseeing the monitoring and evaluation of the project in the province of Central Kalimantan or North Sulawesi, including development of M&E tools and plans, beneficiary and indicator tracking, data compilation and participatory analysis, contribution to reports and preparation of communication materials. The successful candidate will have a well-developed ability to conceptualize, plan and implement project activities creatively, as well as the ability to analyze data and utilize lessons learned for the continuous improvement of project implementation and promote a culture of learning. The successful candidate will be based in Palangka Raya or Manado. Travel to various provinces and sites in Indonesia required. Please send your CV with position and province applied on the email subject to: agcprocurement@artisanalgold.org Vacancy will be closed 21 September 2018 and only short listed candidates will be contacted for interview.